I’m one of those people who think astrology is complete rubbish (a typical Cancerian), so I never bother reading my stars and give all things astrological an extremely wide berth. Ever since The Floaters’ ‘Float on’ I’ve been an absolute sucker for any song where the group tell you their star signs. It’s illogical I know, but quirky too I like to think. 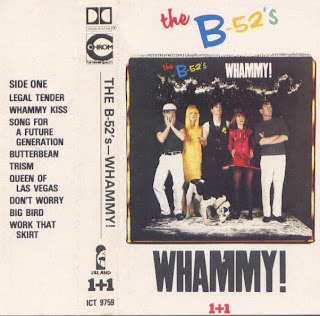 The B-52’s ‘Whammy’ has one of the great star sign songs – ‘Song for a future generation’ where our friends wax lyrical, Floaters style, about their star signs and their likes. Add to this the mighty veggie tribute ‘Butterbean’ (with the stunning lyric ‘pass me a plate full, I’ll be grateful’) and you have the makings of a pretty fine and unfortunately largely ignored album. True it’s nowhere near the quality of their earlier stuff, but not very much is if we’re honest. 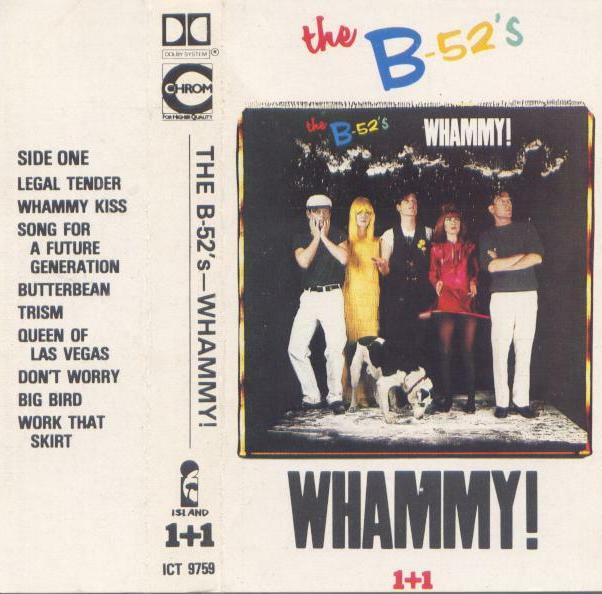 You could probably lose the last three tracks for me – including the (on paper) appealing prospect of a cover version of Yoko Ono’s ‘Don’t worry’ which, unfortunately turns out to be just as ‘interesting’ as the original.